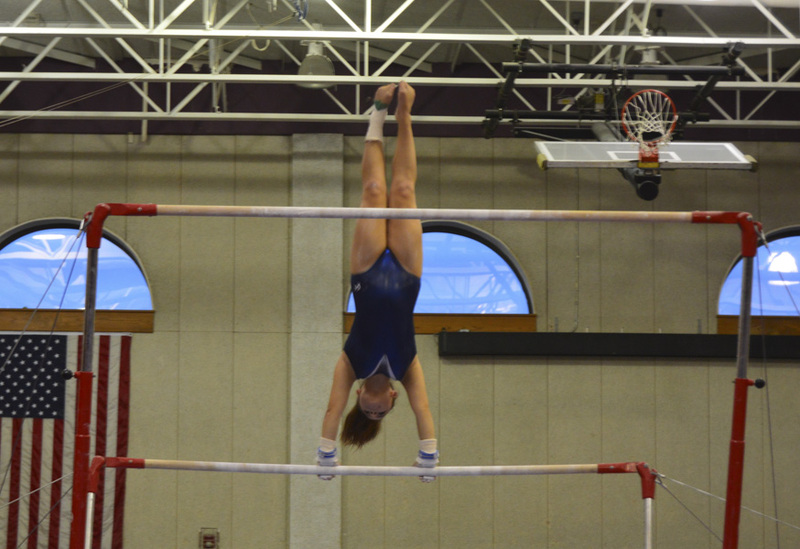 Junior Marissa McGrane performs a cast handstand on the bars against AHA. Pascack Gymnastics has picked off right where it left off in 2016. 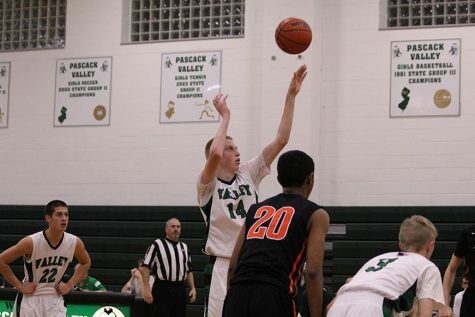 Pascack (6-2) has picked up wins against Mount Olive, Wayne Valley, Randolph, Montclair, Indian Hills, and Ramapo. 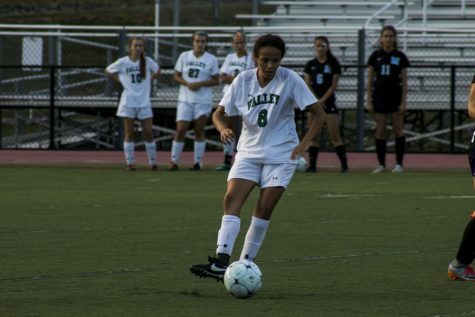 Last season, Pascack ended Ramapo’s streak of five straight NJGL A championships, but finished within fractions of a point of the Raiders in a couple of other big meets. This year, however, Pascack comfortably defeated the Raiders, 107.4 to 103.6. The only two blips on the radar for Pascack this season have been a pair of losses to Ridgewood and the Academy of the Holy Angels. 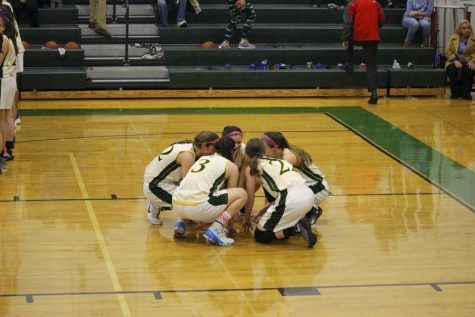 On Wednesday, despite posting its season-high score of 108.05, Pascack fell to the Holy Angels by 0.325. Both Pascack and AHA struggled on vault, as the high score on either team was a 9.0. Ashley Lowe, Amanda Solda, and Marissa McGrane posted the three highest scores for Pascack. Following strong performances on the uneven bars and the beam, Pascack led 80.5 to 79.85. Melissa Ricciardi received a 8.95 on bars, and a 9.6 on the beam, the highest beam score for either team. Hallie Wikfors and Maya Horowitz had strong showings on the bars, while Amanda Solda and Jaime Rossig each received 9.0’s on the beam. However, the Holy Angels out scored Pascack on the floor, to edge out Pascack 108.375 to 108.05. Pascack Regional has bounced back nicely following its tough loss to AHA with back to back wins against Indian Hills and Mount Olive. Pascack Regional beat Indian Hills 102.75 to 97.1 on Thursday, behind Amanda Solda’s 33.85 all-around score. On Monday, Pascack blew out Mount Olive 107.2 to 98.2, as Maya Horowitz put up a 36.075 in the all-around. 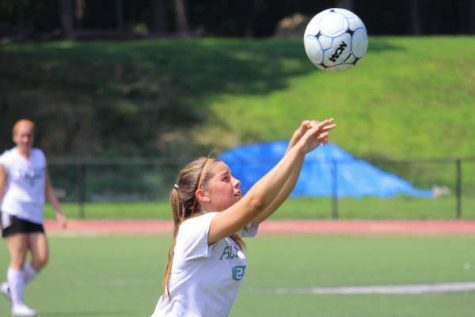 On Friday, Pascack will travel to Ridgewood for the Bergen County Tournament, where they will have a chance to revenge its losses to Ridgewood and AHA, and continue its recent success against Ramapo. Last season, Ramapo held off Pascack Regional 109.65-109.625 to win its sixth straight county tournament and 12th overall county title. Girls Soccer: Indians remain undefeated, advance to semifinals of B.C.T. Girls Soccer: Indians look to ride their hot play into the B.C.T.